Its already late at night & we dont have a particular hotel in mind. We're so glad that Ilocanos are so helpful! :) I asked the bus conductor if there will be hotels or resorts near the bus terminal and he informed us that there's none and we still need to ride a tricycle to be able to reach one. He told us that tricycle at that hour might be few or none at all but that he knew someone who has tricycle in case there's none. Thankfully, there are still few on the terminal when we reached it and the conductor told the driver to bring us to a cheap but safe place for that night. We reached Jun & Carol Beach Cottages around 9pm (Tricycle Fare: Php50). Room rate: Php1000/room - it has 2 double-size beds, tv, aircon and hot & cold shower. The Tricycle driver (Kuya Nelson) offered us a Tour for the next day. We opted to have the Southbound Tour as we dont have much time to spare coz we'll be taking the bus back to Manila the following night. @ Kapurpurawan Rock Formation Back view - its worth visiting! We then took a non-aircon bus from Burgos to Laoag, fare Php60. Travel time is about an hour. We stopped by Jollibee to have lunch and to check if we can charge the battery of my camera. Unfortunately, the plug didnt fit... Well, thanks for the technology of having phone cameras - we can stil pose some more! From Laoag, our destinations are Marcos Museum & Mausoleum and Paoay Church. We took a tricycle to the Paoay jeepney terminal, fare is Php9/pax. 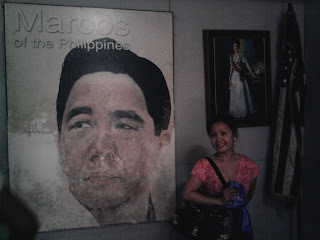 Jeepney fare to Marcos Museum & Mausoleum is Php25/pax plus Php9/pax tricycle fare. No picture taking allowed in the Mausoleum but cameras can be used at the musem. 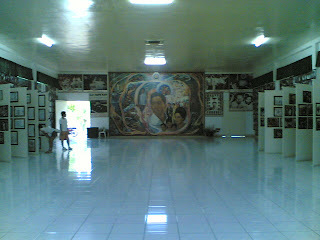 Several steps away from the musem is the office of Ilocos Norte Representative Imelda Marcos that also served as her Photo Gallery. After this, we took a tricycle (costs us Php50.) 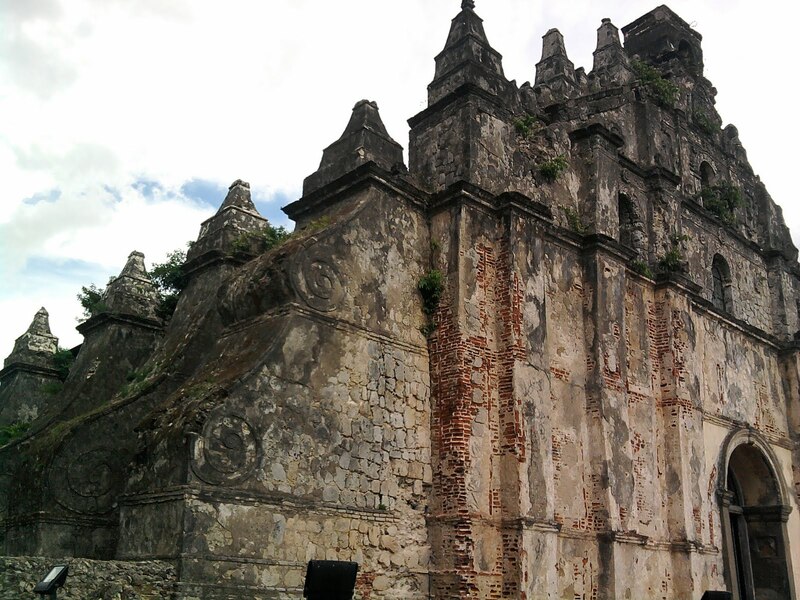 to Paoay Church (also known as the St. Augustine Church in Paoay). 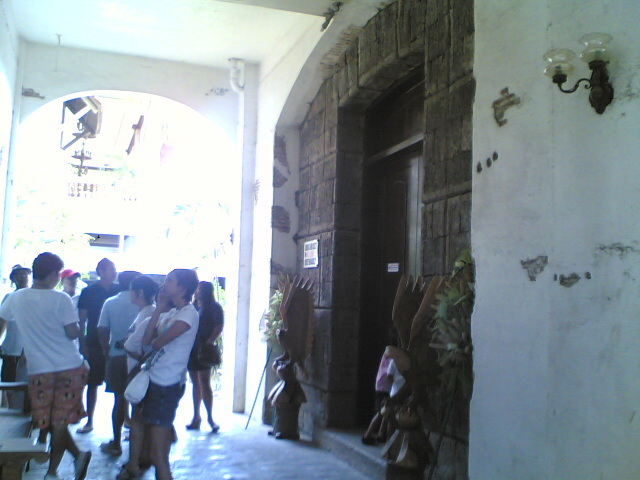 Its coral stone bell tower was used by the Katipuneros as an observation post during the Philippine Revolution in 1898. Our Ilocos Escapade began in the Church in Vigan (Apo Santo Kristo in Simbaan Bassit,Vigan) and ended it here in Paoay Church. We feel so blessed having it this way. This is our final stop to give thanks for our wonderful trip!